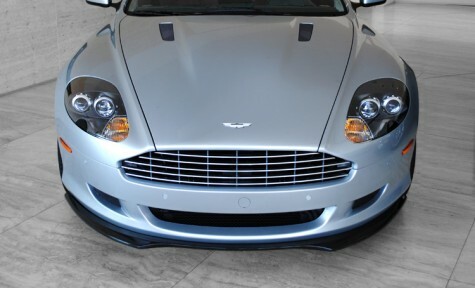 The S2 carbon fiber front splitter has been made using the latest precision carbon fiber techniques, allowing the part to seamlessly fit to the front of the DB9. The splitter spans the entire front of the car which emphasizes its width. The splitter acts as a functional styling enhancement by allowing more down-force to the front of the car.